Subtitled: Down Syndrome, Family, and the Stories We Inherit, by George Estreich (Southern Methodist University Press, 2011) is a memoir of one father’s struggle to care for, understand, and love his daughter Laura who is born with Down Syndrome. But it is so much more than that. Abraham Verghese states that Estreich’s book “…will become a part of the canon of narratives that are studied and taught in medical humanities courses.” An audacious statement—and the notion of a “canon of narratives’ somehow makes me cringe with its connotation of dogma—but The Shape of the Eye does stand out in the growing crowd of medical memoirs. When I received a copy of The Shape of the Eye a week ago, I was finishing reading The World I Live In by Helen Keller, and so was already deep into the world of stigma, disability, and language. I live on a steady diet of books and seldom ever regress to my adolescent tendency to devour books when they are delicious. But I read The Shape of the Eye in one long luxurious sitting. It is not like when I stayed up all night reading The Lord of the Flies when I was twelve—under the bed covers with a flashlight. I somehow dozed through the part where Piggy gets hurled to his death. I thought my classmates were making it up during class discussion. Instead, I read The Shape of the Eye during the day, fully awake and caffeinated, and I somehow simultaneously devoured and savored the book. 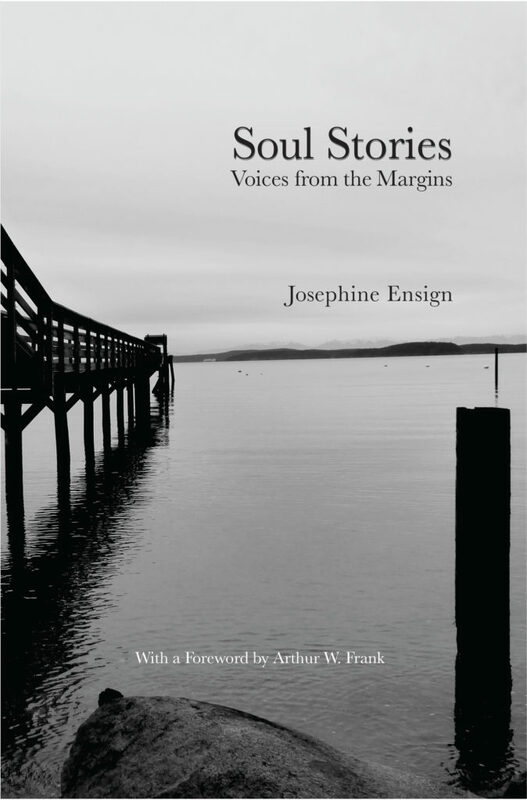 It is impossible to simply devour poetry, and this book is written through a poet’s eye. Estreich’s first book is Textbook Illustrations of the Human Body (Cloudbank Books, 2004), a powerful collection of poetry. 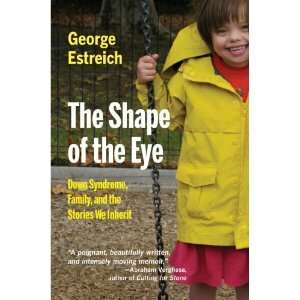 What I like most about The Shape of the Eye is that Estriech manages to weave the main narrative of Laura’s birth, heart surgery and other struggles to live, with his own identities—Japanese mother, Jewish father, stay-at-home father, husband, writer/poet, builder of furniture and other home improvement projects. But all of these intertwined stories are teased apart in places—like the brainy bespectacled Piggy—revealing the science and history behind Down Syndrome. Estreich is also a new and improved version of the scientist, bringing both wry humor and a poet’s exquisite sensitivity to the meaning and metaphor within ‘hard facts.’. A lasting image I have from this book is his description of a pediatric heart surgery parent education pamphlet complete with a diapered anatomically drawn heart. I’ve seen those pamphlets and I’ve used some with patients even though I knew they were ludicrous. The things we do in the service of health care… As I read, I kept thinking of the work of the Australian medical sociologist Deborah Lupton (Medicine as Culture) and her discourse analysis of health education messages. In The Shape of the Eye Estriech essentially ‘does’ discourse analysis—Mongoloid Idiocy, the Simian Crease, Mental Retardation, etc—but in a nonacademic and much more accessible way. As an academic, I can see Verghese’s point about how The Shape of the Eye is destined to be studied in medical humanities courses. And in disability studies. And in psych/mental health. And in special education. And in all our other strange academic divisions. But mostly I see The Shape of the Eye being savored—like Estreich does for Laura as a person—just for itself. “But a life of writing/is not necessarily happy. Be careful, she says. Chores can interfere with your work. Posted on September 11, 2011 September 12, 2011 by josephineensignPosted in UncategorizedTagged Abraham Verghese, Health, Helen Keller, Lord of the Flies, Medicine, Mental Retardation, Seattle, Southern Methodist University Press.